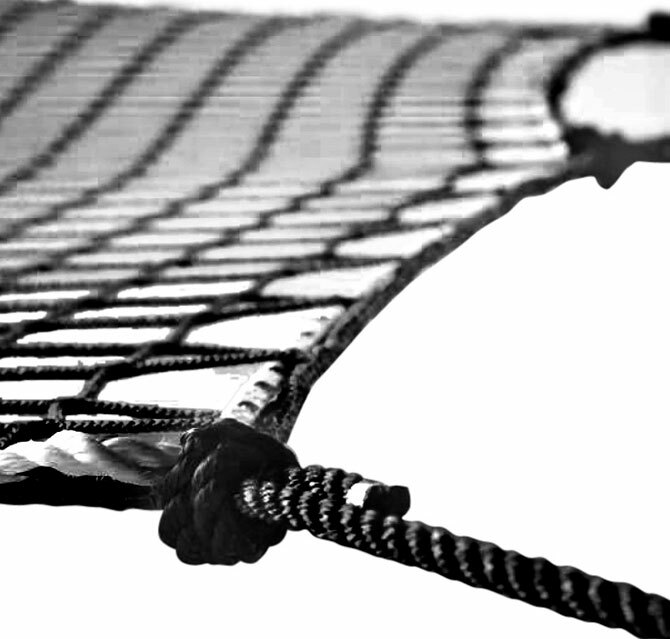 • Great range of application. 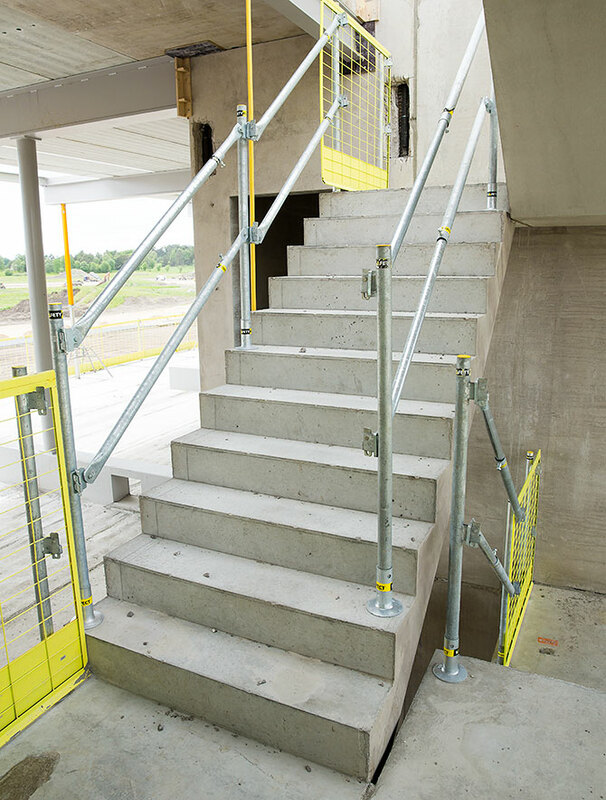 The Alu pipes can be used as a compliment to our edge protection systems. 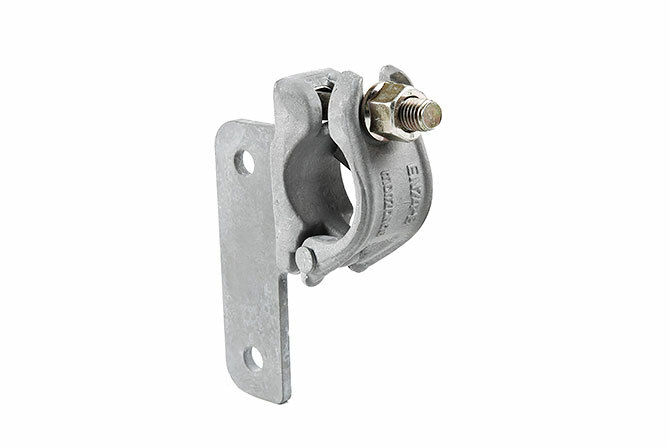 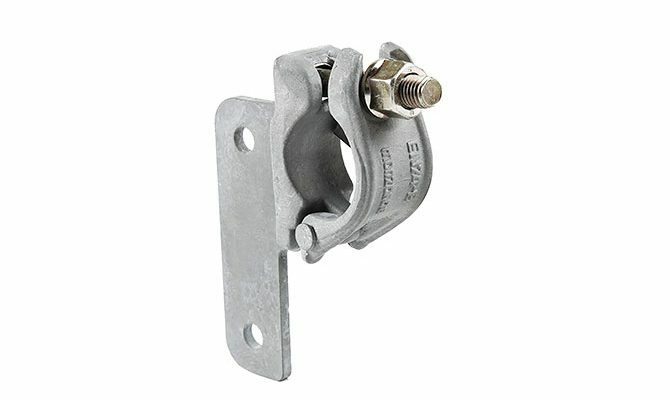 The Coupler bracket safety fan is used when installing Safety fan on walls. 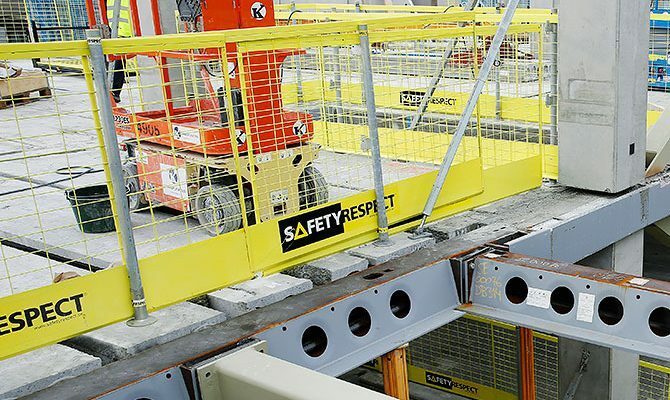 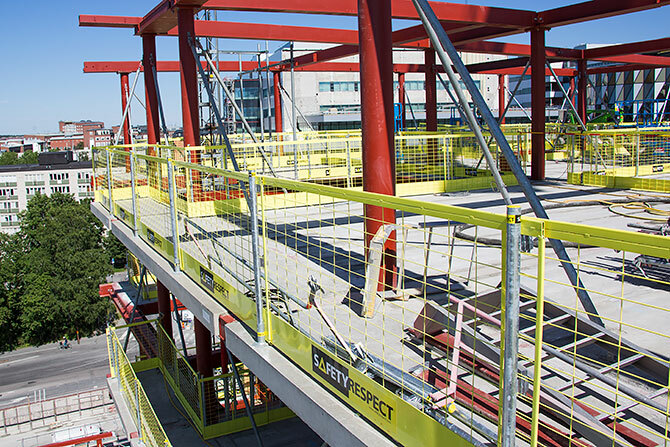 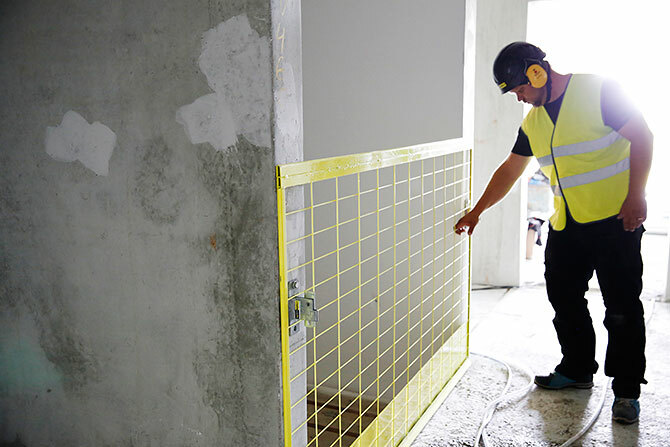 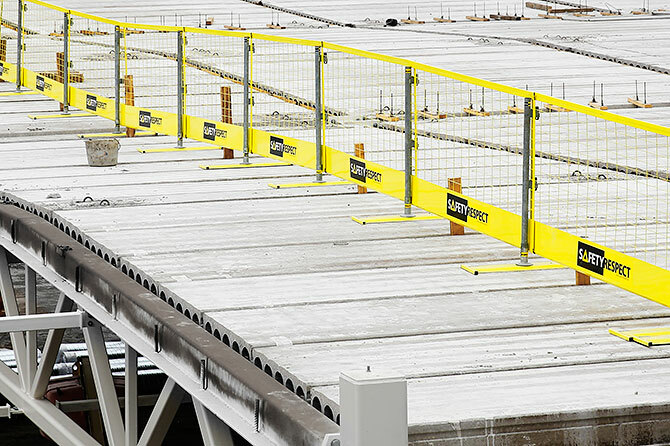 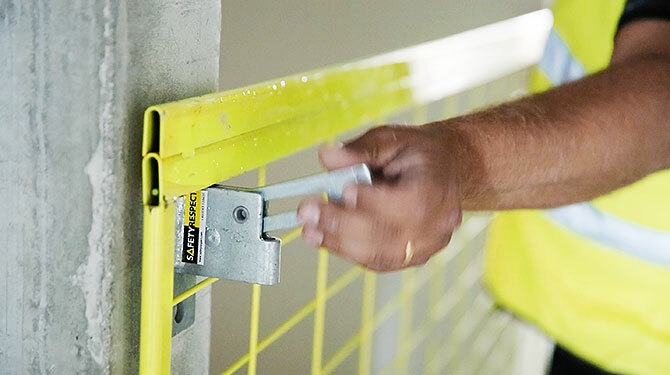 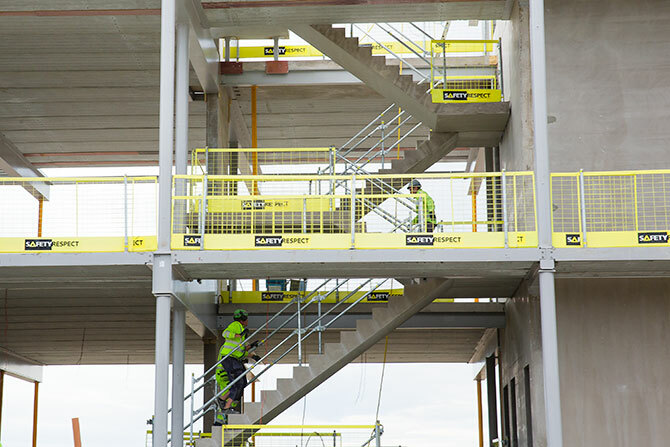 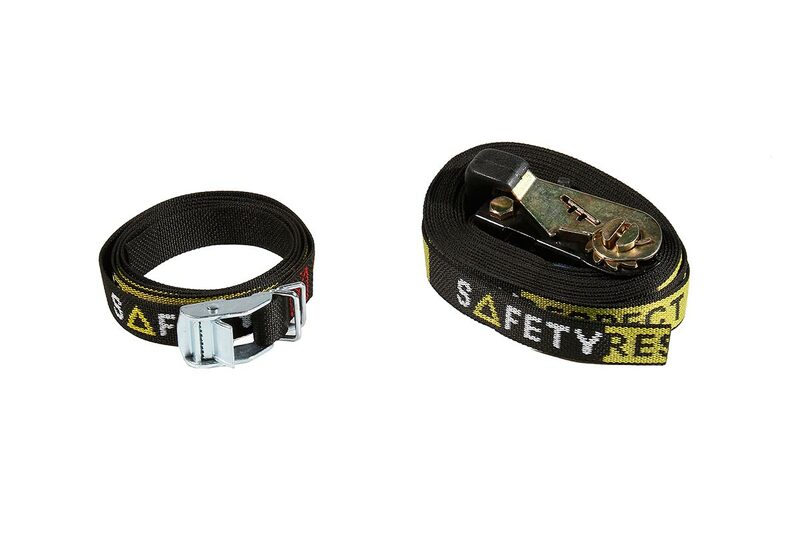 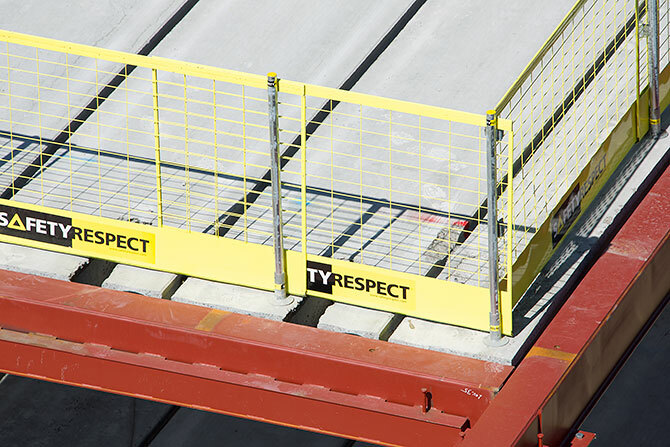 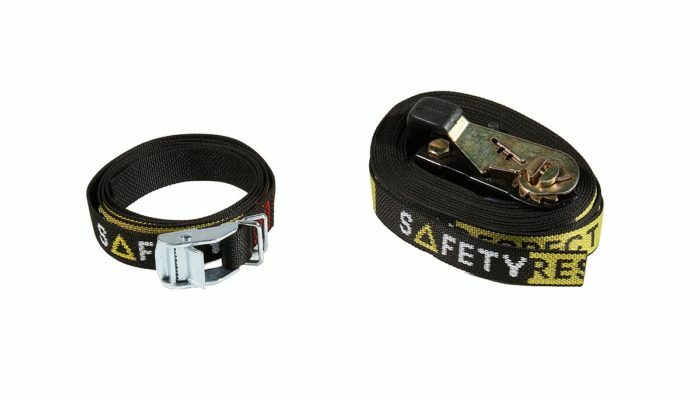 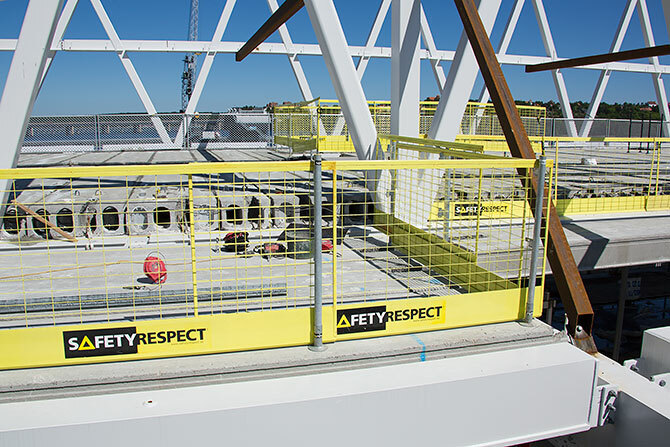 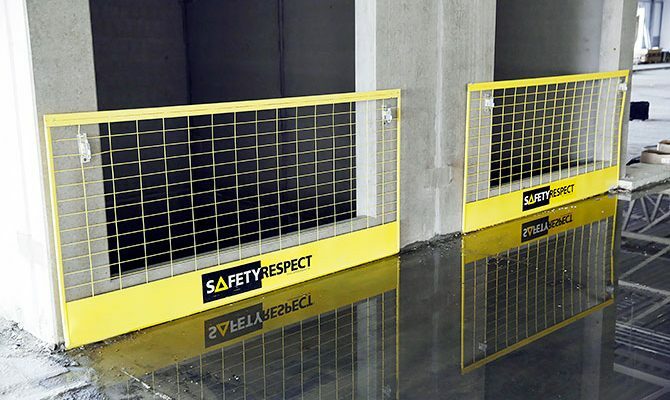 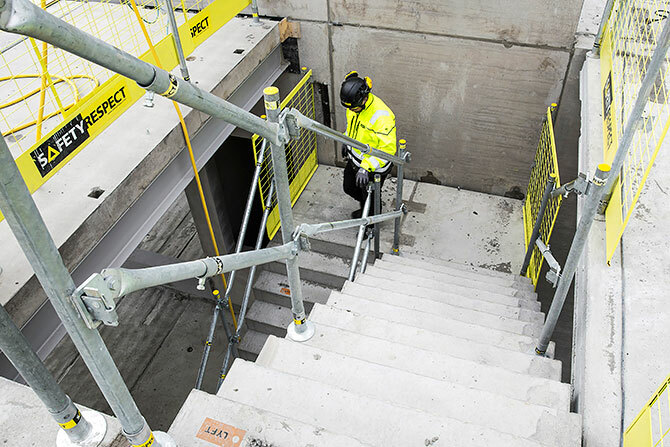 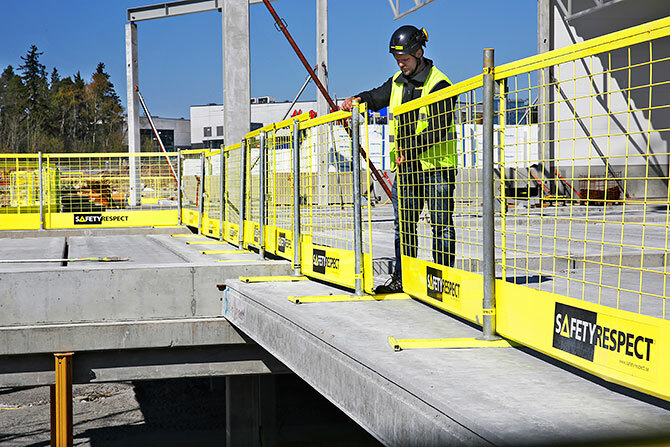 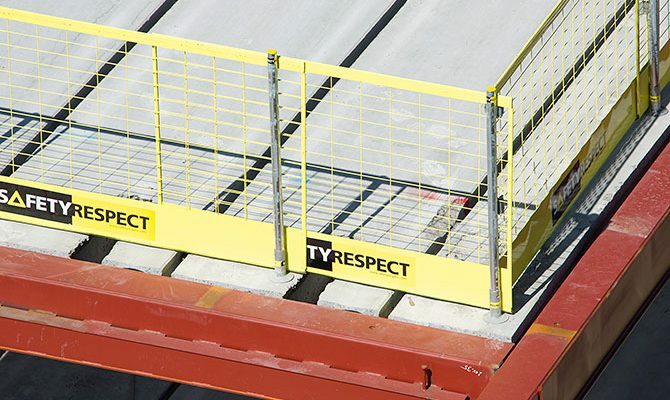 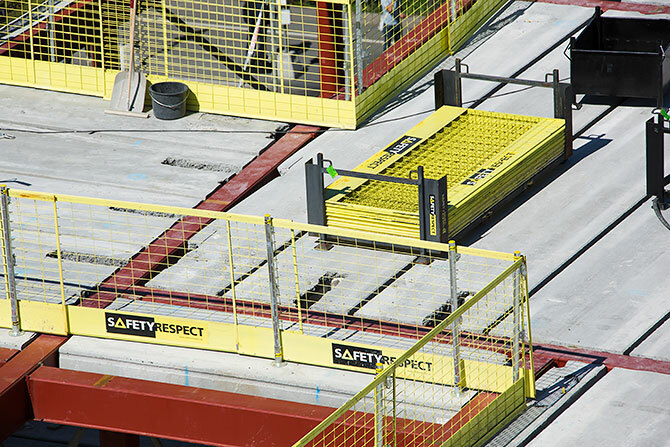 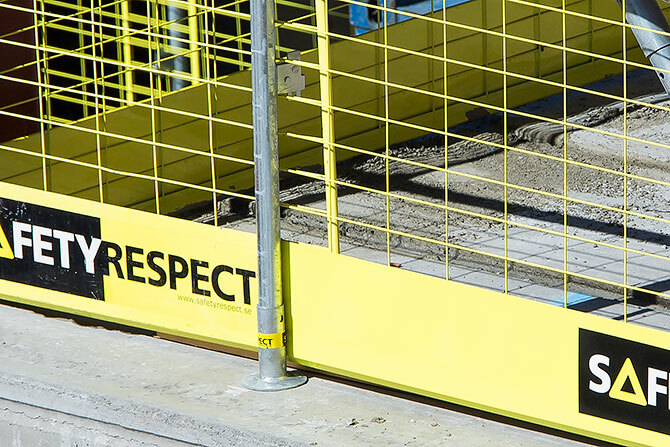 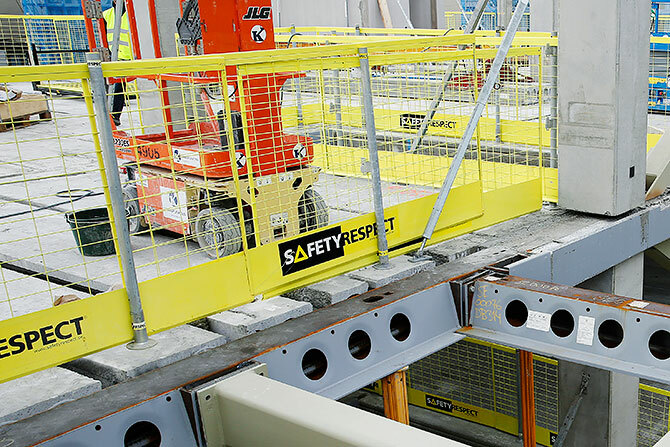 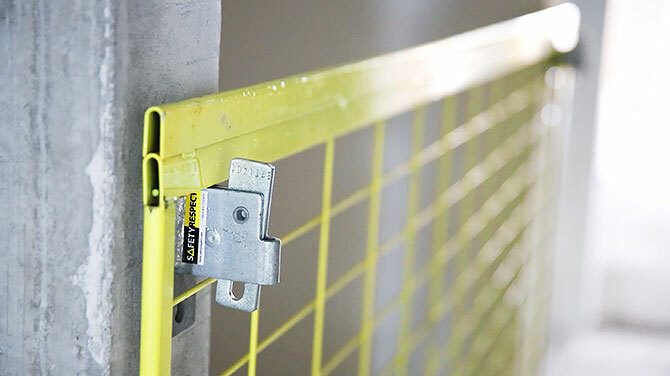 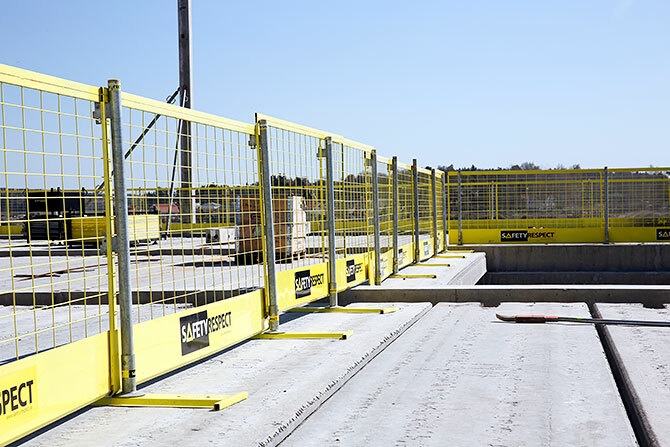 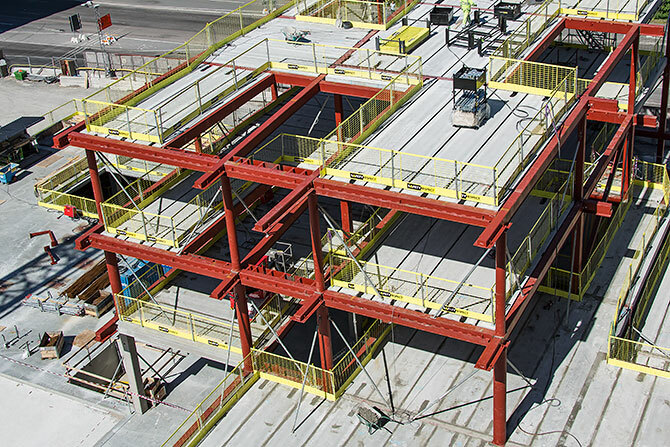 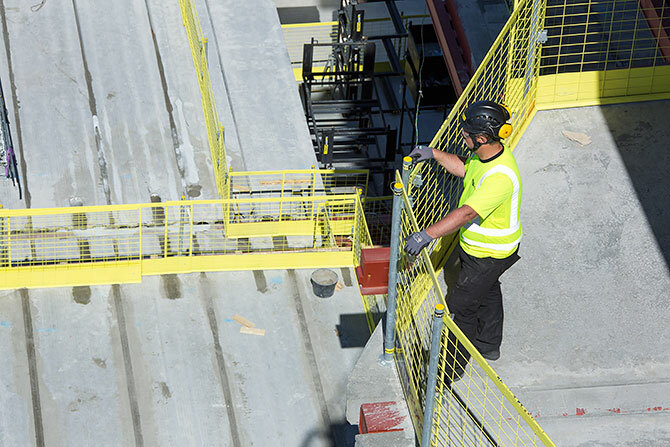 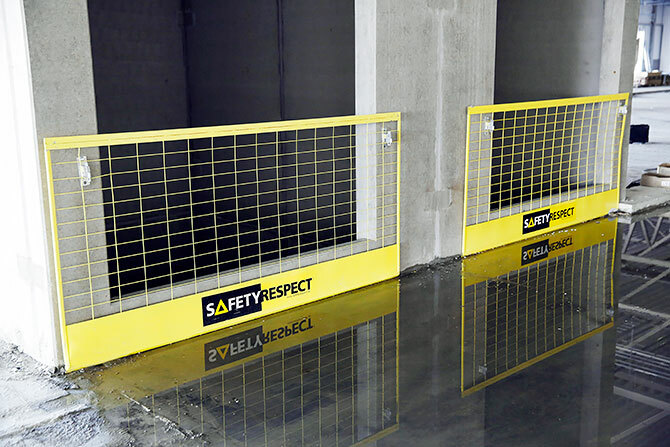 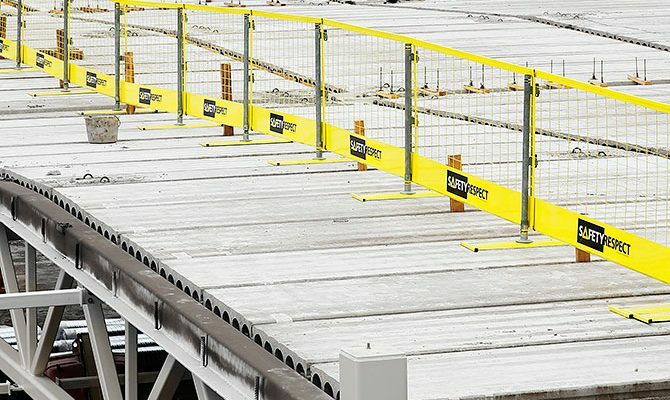 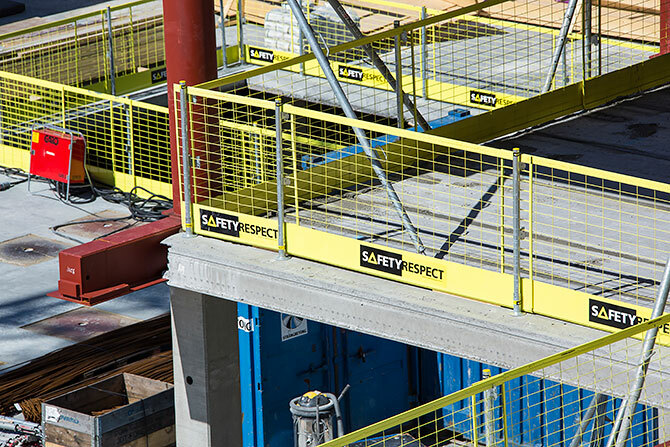 Fits SafetyRespect’s different posts and aluminium pipes, as well as common scaffold brands. 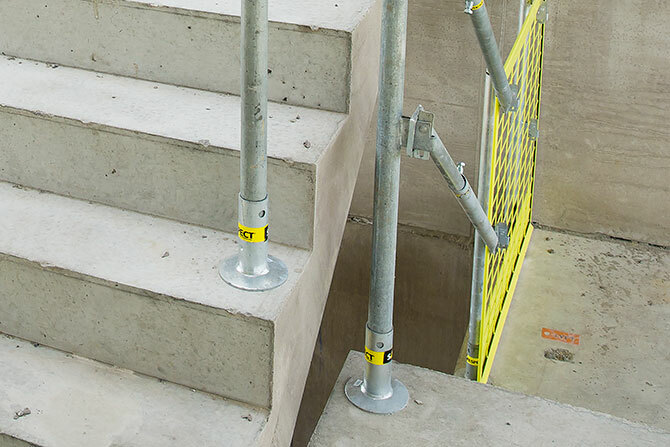 As an attachment point for the bracket the regular cast in sockets in stairs can be used. 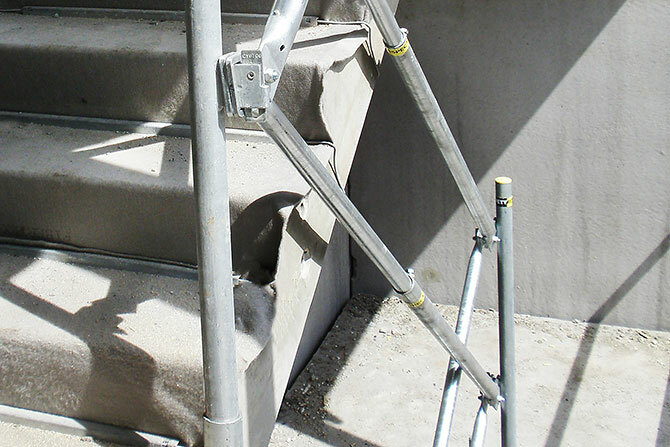 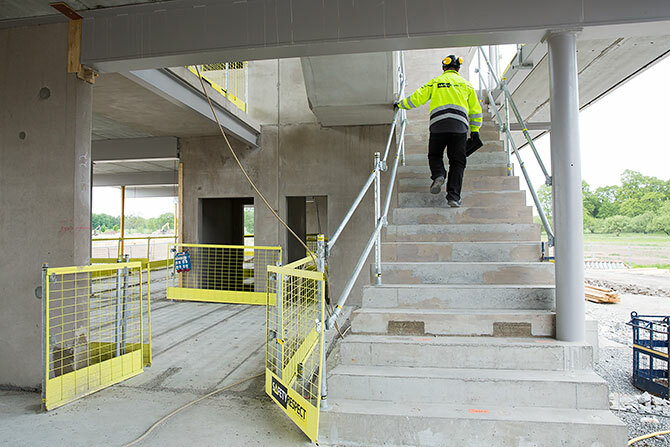 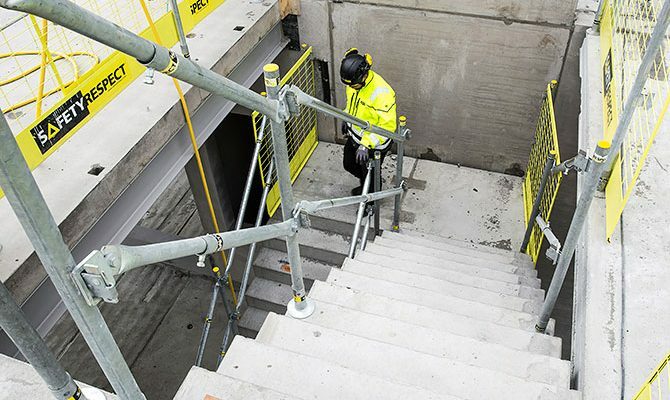 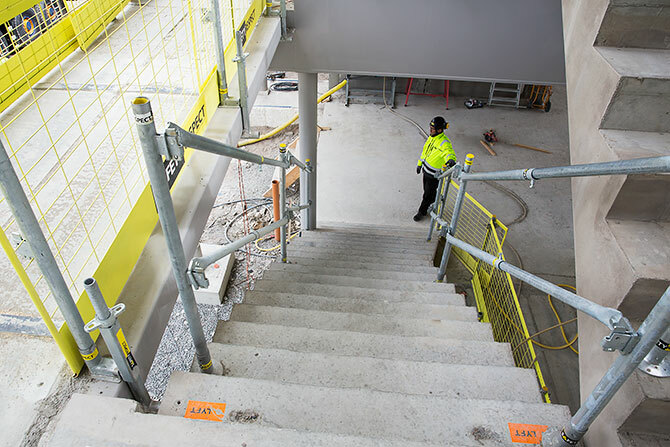 A Stair bracket with spacers makes it possible to let the protection in the stairs during the whole construction period. 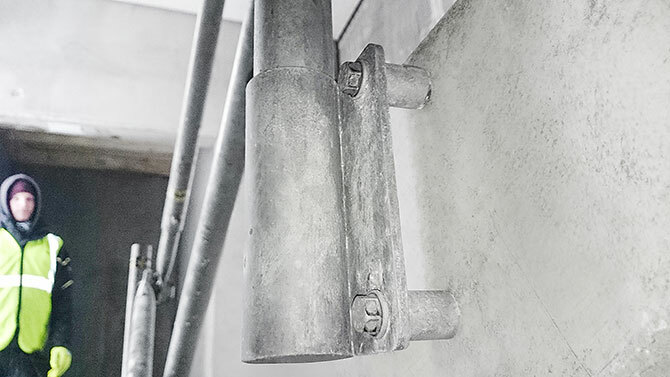 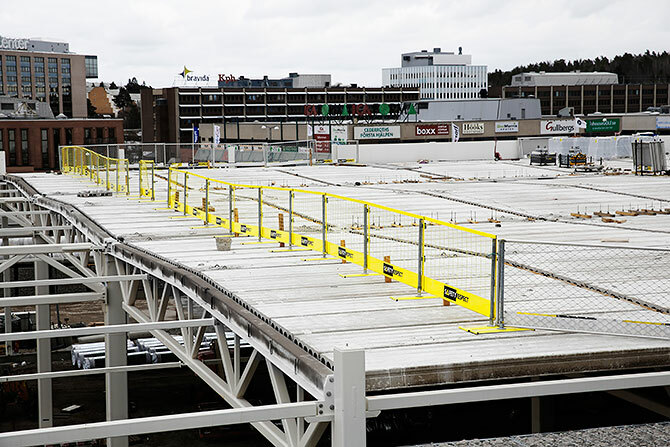 All kinds of work can be carried out with the Adjustable Link Bars in place, even the final painting work. 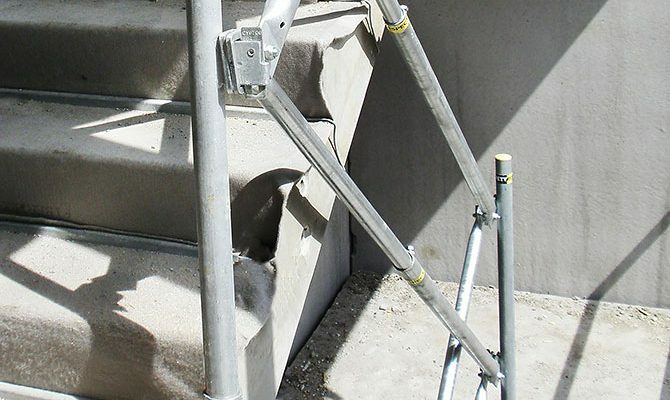 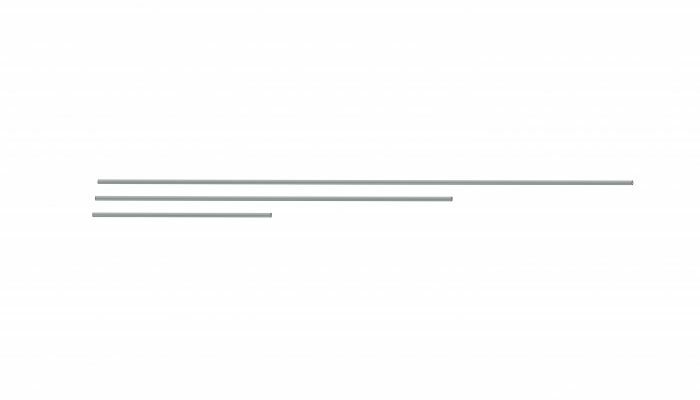 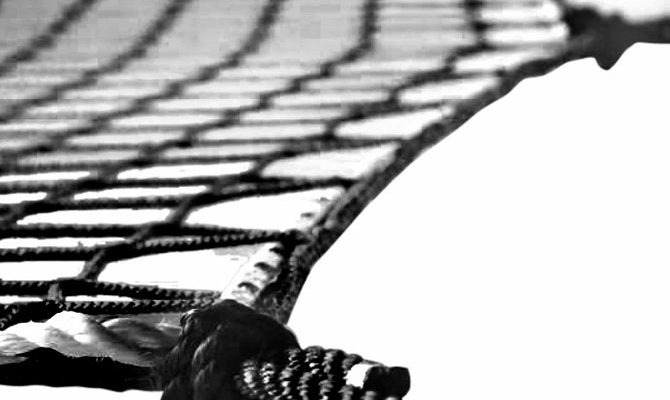 The Socket base can be used as attachment of edge protection in stairs. 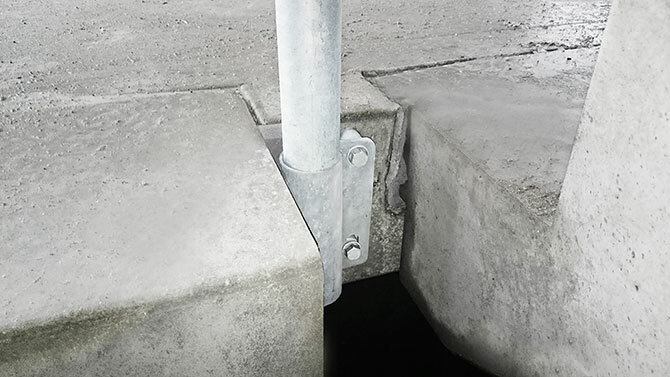 The Socket base has an integrated bracket for Post 1,3 m. Adjustable link bars are installed on the posts.